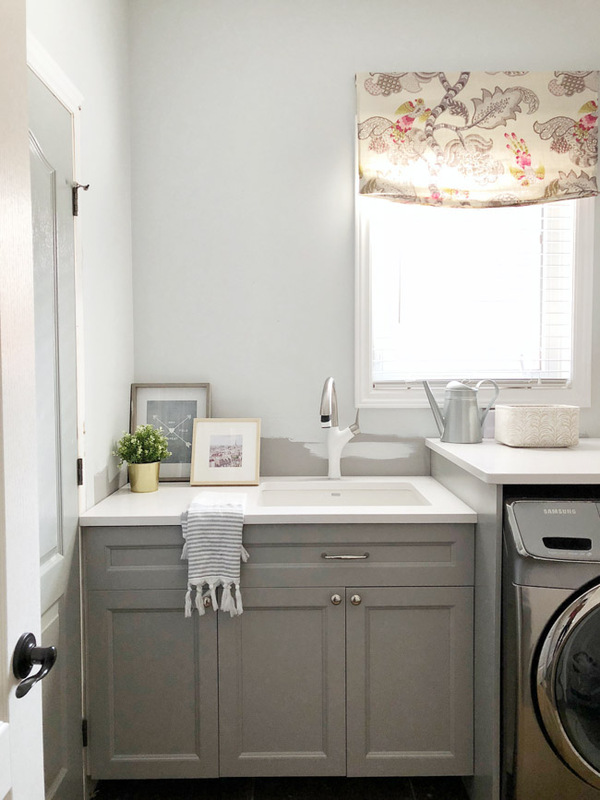 elliven studio: Laundry Room Makeover Update! Hi everyone! My sincere apologies for the radio silence over here. All is well and things have been busy, but I'm back and excited to share another laundry room progress report! 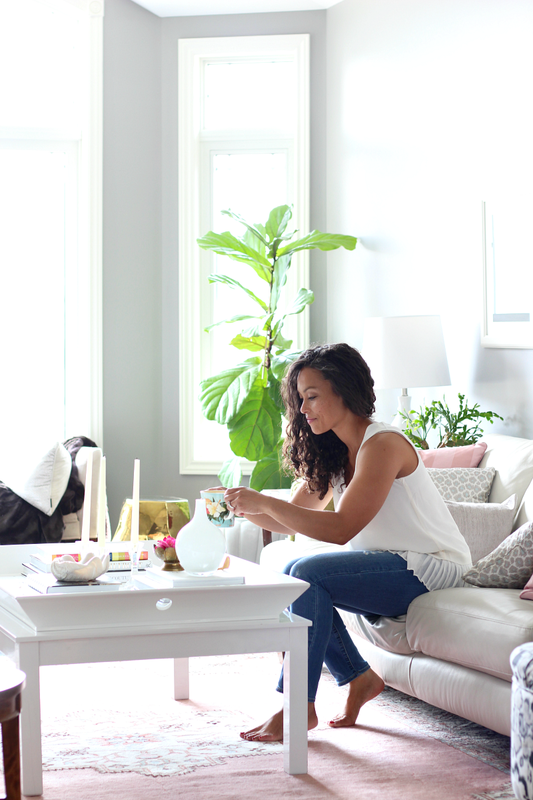 You guys, we are SO close to the finish line and I couldn't be anymore thrilled about how things are looking. 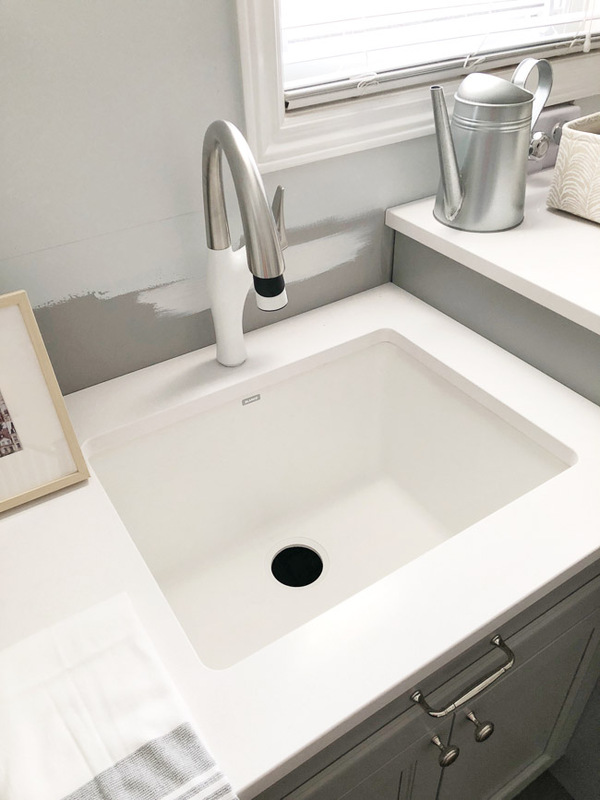 The Silestone counters that we selected were installed earlier this week along with the stunning Blanco Liven Laundry sink and Artona faucet (both in white). The counter installation was all organized through Home Depot, which is amazing. The first step is to have your counters measured (you have to have you sink & faucet on hand for them to measure as well). Once the space has been measured you're immediately given a cost for your custom counter. After payment is made, you'll receive a call to schedule the counter install. It took approximately four weeks from the day that I made the selection to the day that the counters were installed. Here's where we're at!! Of course, I did have to add a few items to style the space temporarily lol! this deep counter is perfect for folding laundry and planting plants! 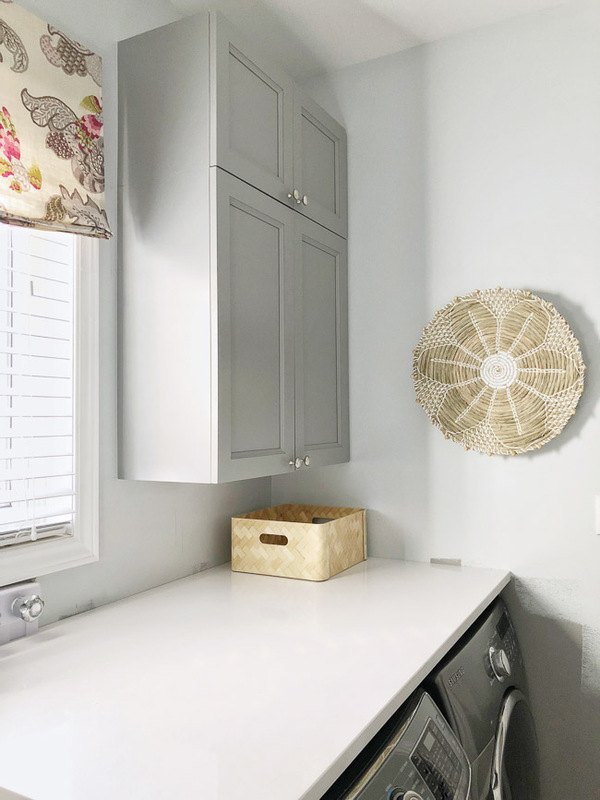 We love the quartz in our kitchen and since I intend on potting plants, cutting flowers, etc in this room (it's my little sanctuary, plus of course the laundry room and mudroom lol), I really wanted a counter top that was easy to clean and that was very durable. Silestone's White Storm was the one! Holy smokes, they literally cut these two slabs to perfection! Honestly...any cutouts that needed to be done were perfect down to the millimetre! 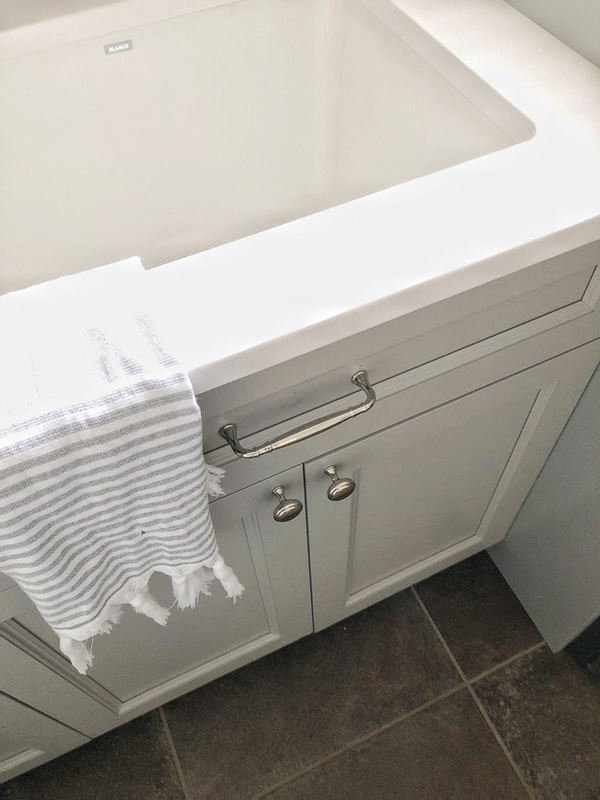 I went with traditional hardware in a polished nickel finish, pulls on the drawers and knobs on the doors. Now that the counters are in we can finish up the remaining items on our to-do list, which means you'll finally get to see the reveal post in the near future! Can't wait to show you the before and afters! Standby!